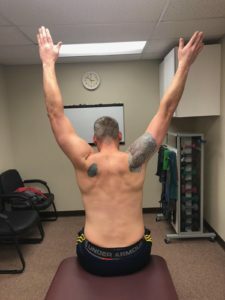 This patient presents with chronic right shoulder pain with limited mobility. The first picture is before today’s treatment. The second picture is post treatment after 5 minutes of active release technique. 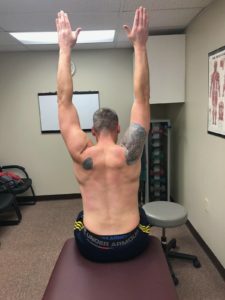 You can clearly see a dramatic change in range of motion with no pain reported. Our philosophy at AITC is to get you out of pain and back to what you enjoy in the shortest amount of time. With the growing costs of healthcare you need results and this is what we pride ourselves on.